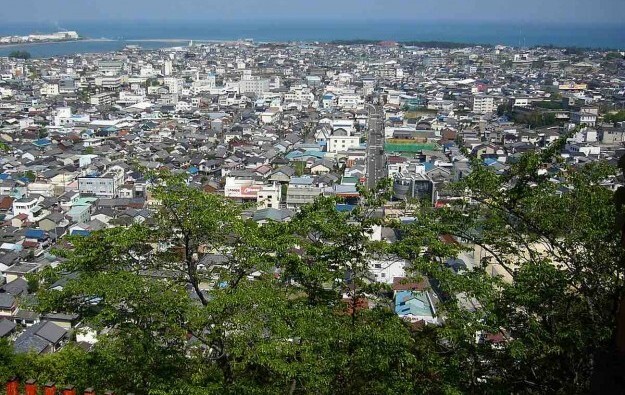 The governor in Japan’s Wakayama prefecture (pictured), and the mayor of Wakayama city itself, are at odds on whether any local casino resort project should allow Japanese to gamble there, according to information gathered by GGRAsia. Governor Yoshinobu Nisaka is said to be in favour, but Mayor Masahiro Obana is against the idea, according to our correspondent in Japan. Mr Nisaka is facing re-election in November but is tipped to win comfortably. Mr Obana was re-elected in late July by a comfortable margin. According to GGRAsia’s correspondent, the decision on how to structure any Wakayama proposal – including whether to allow locals to gamble – rests with Governor Nisaka’s office, as Wakayama city is not an ordinance-designated urban area and therefore does not have the right by itself to make a pitch to Japan’s national government on the matter. Nonetheless, Wakayama Marina City, the proposed location for a casino in the prefecture, is within the boundaries of Wakayama city, and approximately 40 kilometres (25 miles) from the major regional air hub, Kansai International Airport. Any Wakayama bid is likely to face competition from nearby Osaka. At the 2017 edition of the Japan Gaming Congress, a Tokyo conference about Japan’s nascent casino industry, Mr Obana stated clearly his opposition to allowing locals to wager in any local resort, citing public concern about “gambling addiction”. According to a recent report in the Japan Times, earlier in October seven local business associations called for the prefecture to include in its fiscal-year 2019 budget some money dedicated to a lobbying effort for a local casino venture. Such schemes are referred to in Japan as “integrated resorts” (IRs). The Integrated Resort Implementation Act, passed in July by the national government, allows for only three resorts nationally in a first phase of market liberalisation.